St. Michael’s Mount, that impressive castle-crowned pyramid of rock that rises from the waters of Mounts Bay, was not always an island. In fact, it is not always an island now. At low tide you may reach it from the mainland along a causeway. But once upon a time the Mount stood in the midst of a forest; its old name, “Caraclowse in Cowse,” means “the Grey Rock in the Wood,” and that was at the time when the Giants built it. Cormoran was one of the Giants; he lived in this great western forest, which is now swallowed up by the sea, and there he determined to erect for himself a stronghold that should rise well above the trees. So he set to work to collect huge stones from the neighbouring granite hills, and his new home grew apace. 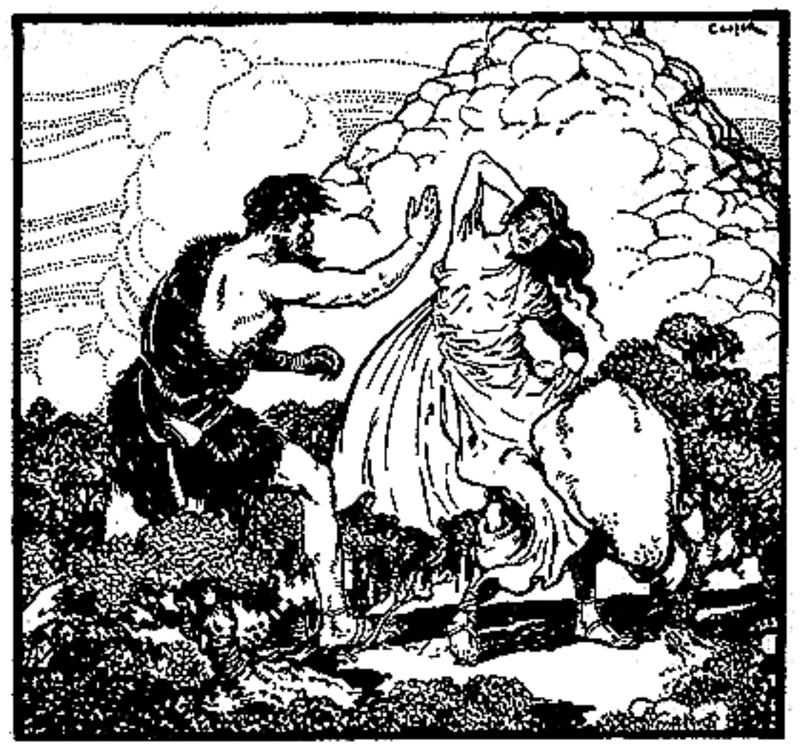 But the labour of searching far afield for suitable stones, and of carrying them to the forest and piling them one upon another, was a wearying task even for a giant, and as Cormoran grew tired he forced his unfortunate Giantess wife, Cormelian, to help him in his task, and to her he gave the most toilsome of the labour. Was there a gigantic boulder in a far part of the Duchy that Cormoran coveted, unhappy Cormelian was sent to fetch it; and she, like a dutiful wife, never complained, but went meekly about her work, collecting the finest and biggest stones and carrying them back to the forest in her apron. Meanwhile Cormoran, growing more lazy, spent much of his time in sleep, waking up only very occasionally to admonish his wife or to incite her to greater efforts. One day, when Cormelian had been twice as far as the Bodmin moors to fetch some particularly fine stones Cormoran had seen, and was about to set off on a third journey, she, noticing her husband fast asleep, thought to save herself another weary walk by going only a short distance and breaking off some huge masses of greenstone rock which existed in the neighbourhood and placing them upon the nearly completed Mount without being seen. Although Cormoran had insisted that the stone be grey, Cormelian could see no reason why one stone was not as good as another. So, carrying out her plan, she was returning with the first enormous piece of greenstone, walking ever so carefully so as not to awaken Cormoran, when, unfortunately, he did awake. He flew into a terrible rage on seeing how his wife was trying to delude him, and, rising with a dreadful threat, he ran after her, overtaking her just before she reached the Mount. Scolding her for her deceit, he gave her a terrific box on the ear. Poor Cormelian, in her fright, dropped the huge greenstone she was carrying, and ran sobbing from her angry husband to seek refuge in the deepest part of the forest; and it was not until Cormoran himself had finished building the Mount that she would return to him. And to-day, as you walk along the causeway from Marazion to St. Michael’s Mount, you will see on your right hand an isolated mass of greenstone, the very rock that Cormelian dropped. It is called Chapel Rock now, because years and years afterwards, when pious monks lived upon the summit of the Mount and devout pilgrims used to visit their church to pay homage at a shrine, they built a little chapel, upon poor Cormelian’s green rock, of which only a few stones now remain. You may visit Chapel Rock and St. Michael’s Mount from Penzance, which is between three and four miles away and is the ideal centre for some of the most wonderful scenery in Cornwall. Both Land’s End and the Lizard are within easy reach of this, England’s westernmost town, where a climate that rivals that of the Mediterranean may be enjoyed in the depth of winter. Semi-tropical flowers and trees bloom in the open, and in February and early March—in what is, in fact, winter weather for those in less favoured parts—Penzance and its neighbourhood are surrounded by glorious spring flowers, the growing of which forms a very considerable industry. London and our other big towns often get their first glimpse of coming spring in the narcissi and wallflowers grown around the shores of Mounts Bay, and packed off to the grim cold cities only a few hours away. To confirm the times the Mount will be open during your planned visit. Use this website to also check what times the causeway from Marazion to the mount will be open due to tidal activity. Take the Great Western Railway (GWR) service from London, Paddington via Exeter and Plymouth to Penzance and alight at Penzance. Walk to the bus station across the road from the train station near to the tourist information centre (TIC). Take bus 2 or 39A to Marazion from stand E. Busses leave on average every half hour. The journey takes 25 – 30 minutes. Taxi from Penzance station to St Michael’s Mount takes 10 – 15 minutes. The walk from Penzance to the mount is 2 miles, or 3.2km and, depending on how fast you walk, could take up to 1 hour to complete. Next Land’s End (see “The Tasks Of Tregeagle” in the next legend) is approximately 10 miles from Penzance and can be visited by bus, taxi or organised coach tour. LEGEND LAND – 14 LEGENDS FROM POLDARK COUNTRY! In older, simpler days, when reading was a rare accomplishment, our many times great-grandparents would gather round their blazing hearths on the long, dark winter nights and pass away the hours before bedtime in conversation and story-telling. The old stories were told again and again and children learned them by heart in their earliest years and passed them on to their children and grandchildren in turn. In origin, most of these old legends date from the very dawn of our history, possibly even in a time before Stonehenge has been erected. They may have even been told around the camp-fires of that first British army that went out to face Cæsar’s invasion, now almost two millennia ago, and again in the marshes of Southern England by the army of Alfred the Great before they finally defeated the Viking invaders. Later, much later, with the spread of education and the introduction of formal curricula, in which folklore seems to have no place, they began to die. Then, when many more folk could read and books grew cheap there was no longer the need to call upon memory for the old-fashioned romances, and so they began to fade from the modern consciousness. Yet there have always been those who loved the old tales best, and wrote them down before it was too late, so that they might be preserved forever. 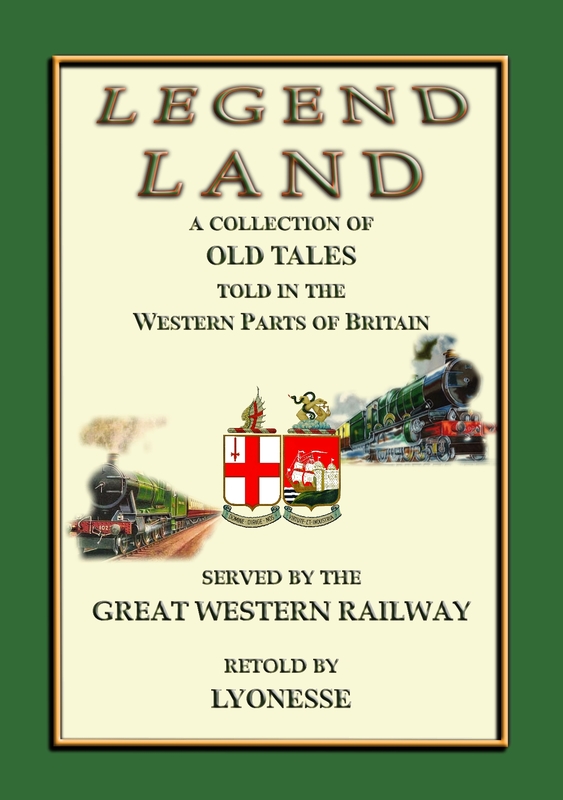 A few of them are retold briefly here with instructions of how to get to the very places in Devon, Cornwall and Wales that these legends originated from. Be sure to check out the Poldark filming locations map in the images attached to this post. 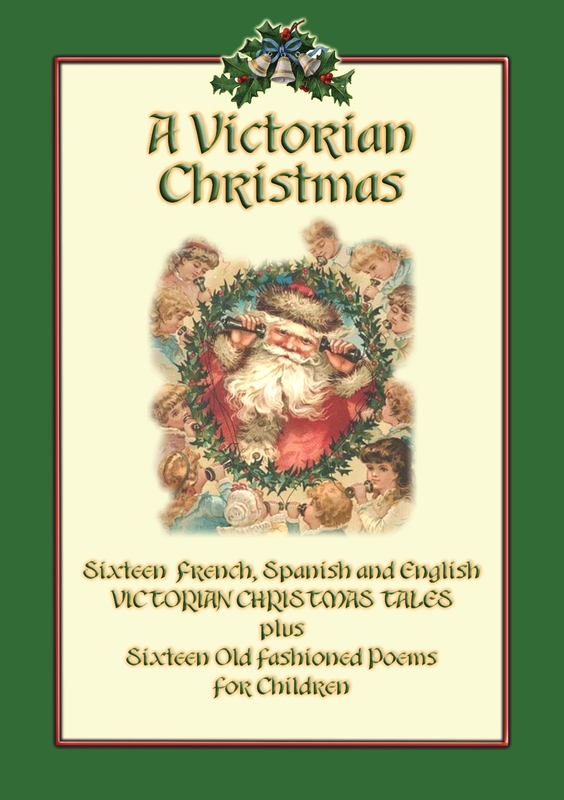 There are even three relatively unknown Christmas stories from the pen of that master of storytelling – CHARLES DICKENS. So download and read this volume of festive goodwill which brings out the real meaning of Christmas. From the French of André Theuriet. Christmas Eve that year was bleak and cold, and the village seemed benumbed. The houses were closed hermetically, and so were the stables, from which came the muffled sound of animals chewing the cud. From time to time the clacking of wooden shoes on the hardened ground resounded through the deserted streets, then a door was hastily opened and closed, and all relapsed into silence. It was evident from the thick smoke rising through the chimneys into the gray air that every family was huddled around its hearth while the housewife prepared the Christmas supper. Stooping forward, with their legs stretched out to the fire, their countenances beaming with pleasure at the prospect of the morrow’s festival and the foretaste of the fat and juicy blood-sausages, the peasants laughed at the north wind that swept the roads, at the frost that powdered the trees of the forest, and the ice that seemed to vitrify the streams and the river. Following their example, my friend Tristan and I spent the livelong day in the old house of the Abbatiale at the corner of the hearth, smoking our pipes and reading poetry. At sundown we had grown tired of seclusion and determined to venture out. So we pulled on our gaiters, stuffed our pipes, wrapped ourselves in our cloaks and mufflers, and penetrated into the wood. We walked along cheerfully over the rugged, hardened soil of the trenches furrowed with deep, frozen ruts. Through the copse on either side we saw mysterious white depths. After a damp night the north wind had transformed the mists and vapors that overhung the branches into a tangle of snowy lace. In the half light of the gloaming we could still distinguish the sparkling needles of the junipers, the frosted puffs of the clematis, the bluish crystallizations of the beech, and the silver filigree of the nut-trees. The silence was broken by the occasional creaking of the frozen limbs, and every now and then a breath of impalpable white dust dampened our cheeks as it melted there. We walked along at a steady pace, and in less than an hour caught sight of the red and flickering glow of the sabotiers’ camp pitched on the edge of the forest above a stream that flowed down toward the valley of Santonge. The settlement consisted of a spacious, cone-shaped, dirt-coated hut and a cabin with board walls carefully sealed with moss. The hut answered the combined purposes of dormitory and kitchen; the cabin was used for the stowing away of tools and wooden shoes, and also for the two donkeys employed in the transportation of goods. The sabotiers, masters, apprentices, friends, and children were seated on beech logs around the fire in front of the hut, and their mobile silhouettes formed intensely black profiles against the red of the fire. Three short posts driven into the ground and drawn together at the top formed the crane, from which hung an iron pot that simmered over the coals. An appetizing odor of stewed hare escaped from the tin lid as it rose and fell under the puffs of vapor. The master, a lively, nervous, hairy little man, welcomed us with his usual cordiality. We had no sooner taken our seats around the fire than the snowflakes began to whirl about in the stillness above us. They fell so thick and fast that in less than a quarter of an hour we were compelled to protect the fire with a hurdle covered with sackcloth. The weather was certainly not tempting, and we accepted the invitation. Besides, the adventure amused us, and we were delighted at the prospect of a Christmas supper in the heart of the forest. An hour later we were in the hut, and by the light of a miserable little candle-end we had our Christmas supper, devouring our hare-stew with a sharp appetite and washing it down with a draught of unfermented wine that scraped our throats. The snow fell thicker and thicker, wrapping the forest in a soft white wadding that deadened every sound. Now and then the sabotier rose and went into the cabin, then came back looking worried, listening anxiously for the good woman from Santonge. Suddenly a few metallic notes, muffled by the snow, rose softly from the depth of the valley. A similar sound from an opposite direction rang out in answer, then followed a third and a fourth, and soon a vague confusion of Christmas chimes floated over the forest. Our hosts, without interrupting the process of mastication and while they passed around the wine-jug, tried to recognize the various chimes by the fulness of the sounds. During this discussion Tristan and I began to succumb to the combined action of warmth and fully satisfied appetite. Our eyes blinked, and before we knew it we fell asleep on the moss of the hut, lulled by the music of the Christmas chimes. A piercing shriek followed by a sound of joyful voices woke us with a start. It had ceased snowing. The night was growing pale, and through the little skylight we could see above the fleecy trees a faint light in the sky, where a belated star hung quivering. We went crunching over the snow after him to the cabin, lighted by a smoky lamp. On her bed of laths and moss lay the young mother, weak and exhausted, her head thrown back, her pale face framed in by a mass of frowzy auburn hair. The “good woman,” assisted by the little girl, was bundling up the new-comer, who wailed feebly. The two donkeys, amazed at so much stir and confusion, turned their kindly gray faces toward the bed, shook their long ears, and gazed around them with wide, intelligent eyes, blowing through their nostrils puffs of warm vapor that hung like a thin mist on the air. At the foot of the bed stood a young shepherd, with a black and white she-goat and a new-born kid. The goat was baaing, the new-born child wailed, and the donkeys breathed loudly. There was something primitive and biblical about the whole scene. “He is born, the little Child. Ring out, hautbois! ring out, bagpipes! Esther (seated in small rocker). This is Christmas Eve, Mabel, and I suppose that Santa Claus has his pack all made up, and is off with his reindeer to visit all the good little boys and girls all over the world. I do hope he will be sure and come to (name your own town or city), because I want something very much this year. Just think, last Christmas I laid awake most all night to see him, but I didn’t see him at all. I don’t know when he got in the house or how he got out, but he just fooled me, that’s what he did. Mabel. No doubt he’s started on his journey by this time. I think he must ride like the wind to get all over the world in a night. Why it took all night and a day for us to go to Aunt Ella’s last Thanksgiving time, and that’s not so far as around the world. But I would like to see Santa this year so I could tell him what I want. They say if Santa Claus knows what you want he will almost always bring it to you. Esther. Yes, I know he will, because Maggie Brown wrote to him last year and told him that she wanted a pony and a cart and he brought it to her. Mabel. And Tommy Carter wrote to him, too, and told him that he wanted a bicycle and he got it, too. I guess Santa is a nice old man. Esther. And Mrs. Santa must be a nice old lady, too, or she wouldn’t dress all those nice dolls for Mr. Santa Claus. Mabel. It’s too bad that we did not write to him last week, and then he surely would have gotten our letter. Esther (rising up and putting doll in the chair). Mabel, why not telephone to him? Papa has a long distance telephone, and I talked away down to New York through it once, and I guess if cousin Mary could hear me in New York, Santa Claus ought to hear me in Santa Claus Land. Mabel. Wasn’t Papa with you when you talked that time, Esther? Esther. Yes, but I remember just how I did it. You just ring the bell, and talk in the box, and listen for the answer. Let’s try it, anyway. Mabel. All right, we will, but he may not be at home. He must start early to travel so far. Esther. I will ask Mrs. Santa Claus anyway. Now let’s do it quick, before any one comes in. Mabel (getting a chair for Esther to stand on). Here Esther, you must stand upon this chair. Now be careful not to fall off. Mabel. Some one is there, Esther. Ask them to give you Santa Claus Land. Esther. Hello, hello! Give me Santa Claus Land, please. Mabel. She says that this is Santa Claus Land. Esther. Hello! Is this Mrs. Santa Claus? Mabel. She says “yes.” Ask her if Mr. Santa Claus is at home. Esther. Mrs. Santa Claus, Mrs. Santa Claus, is Mr. Santa Claus at home? Mabel. She says “no,” he isn’t. He has gone on a journey to visit all the good boys and girls. Esther. Hello, hello, Mrs. Santa Claus. Does Mr. Santa Claus only make one trip on Christmas Eve? Mabel. She says “yes,” that is all he makes. Ask her to send some one after him to catch him, because we want something very special. Mabel. She can’t be at the phone, Esther, ring her up again. Esther (rings again). Hello, Mrs. Santa Claus, will you please send some one after Mr. Santa Claus, to tell him that we want something special? Mabel (waits a moment). She’s not there yet, Esther. Ring her up again. (Esther rings quite hard.) Now she is there, and she wants to know why we bother her so on Christmas Eve. Esther. Mrs. Santa, please send some one after Mr. Santa, and tell him that we are two good little girls, and we want a muff and a pair of skates, and some candy canes as long as your arm. Now don’t forget, Mrs. Santa—a muff, and skates, and candy canes as long as myself. Mabel. She says that Santa is too far away, and nobody could catch him now. And she says that we must not bother her any more as she is busy making her Christmas pies. Esther (to Mabel). But I want my candy cane (rings several times). Mabel (frightened). Oh, Esther, Mrs. Santy will be awfully angry with us. Let’s go away. Esther (getting impatient). Does she answer the ring? Mabel. No. (Esther rings harder than before.) Now she is there and she wants to know if it is the same two little girls. Esther (into the phone). Yes, it’s Mabel and me, and we want Santa Claus to bring us some skates, and a muff and candy canes as long as a fishing-pole. Mabel. She says that we must be good or Santa won’t come to (name your town) tonight at all. We bother her a lot, she says. Mabel. She has gone away again, Esther. Let’s not bother her any more or she may send some one after Santa to tell on us. Esther. I want to know if Santa is coming to (your town) tonight, anyway (rings long and several times). Mabel (frightened). I guess she is angry with us, Esther. Please do let’s stop now. Let’s not ring any more, because I don’t care for the skates, anyway. Esther (to Mabel). Isn’t she there yet? Mabel. No—I guess not. (Esther rings and rings.) Oh, Oh, Esther do stop! Mabel. Yes, and she wants papa to take those naughty girls away from the “phone,” or Santa won’t come to (your town) tonight. Please do stop ringing, Esther. (Listens.) Oh, Esther, I think I hear papa coming, and he will be angry, too. Mabel (during the ringing). Oh, Esther, oh, Esther! She says to stop that ringing!! Esther (stamping her foot, keeps on ringing). I’m mad with her, Mabel (then into the phone). Mrs. Santa—Mrs. Santa—do you hear, Mrs. Santa? Do—you—hear—Mrs. Santa? We want our muff, and our skates, and the candy canes as big as a house. Do—you—hear, Mrs. Santa? Mrs. Santa! I want my muff and skates. (Rings while talking.) I am mad with you, Mrs. Santa. I want my muff. (Here pull the trap and the skates drop out, pulling the muff also. Esther jumps down from the chair, Mabel drops the receiver. They seize the skates and muff and say, as they hold them up): We’ve got them. We’ve got them, the skates and muff, the skates and muff! 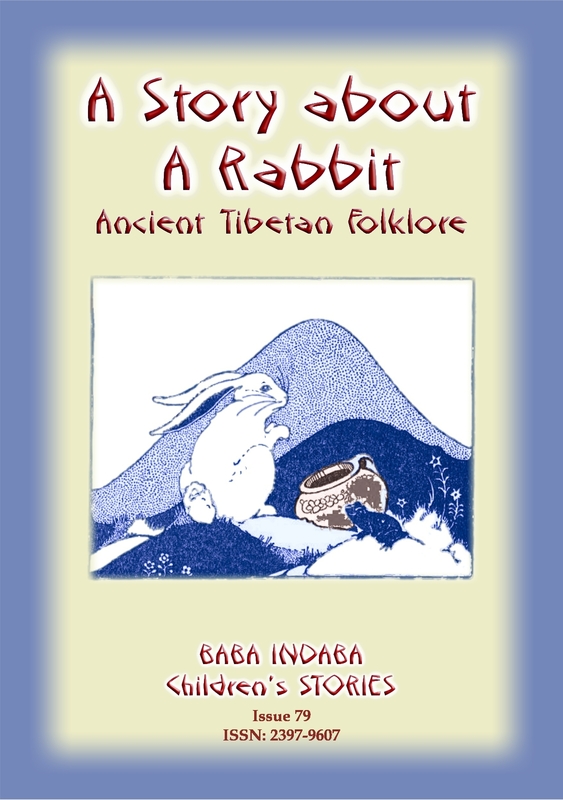 In Issue 77 of the Baba Indaba Children’s Stories, Baba Indaba narrates an old Scottish riddle used to teach children. It goes something like this…..in Scotland, there was a custom once through the Gældom, when a man would die, that the whole people of the place would gather together to the house in which the dead man was called Tigh aire faire (the shealing of watching, now better known as a wake), and they would be at drinking, and singing, and telling tales, till the white day should come. At this time they were gathered together in the house of watching, and there was a man in this house, and when the tale went about, he had neither tale nor song, and as he had not, he was put out at the door. When he was put out he stood at the end of the barn; he was afraid to go farther. He was but a short time standing when a number of apparitions passed him by. When he asked an old woman for an explanation, he was left even more perplexed…… So what was so mystifying about the apparitions and the explanation he received? Well you’ll just have to download and read the story to find out what went on. In Issue 76 of the Baba Indaba Children’s Stories, Baba Indaba narrates the old Welsh tale of the phantom funeral. A ghostly procession of mourners and wailers passes by a farm just before sunset one day. You’ll have to download and read the story to find out why this was so extraordinary.